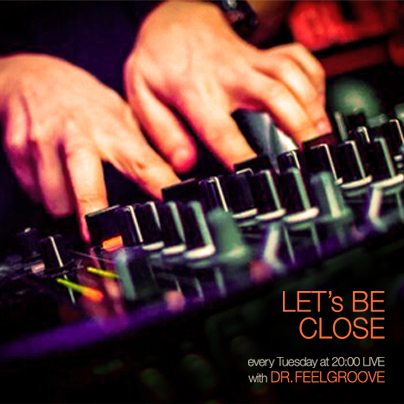 ‘Let’s Be Close’ is Dr.Feelgroove’s radio show broadcasted every Tuesday at 20:00 (18:00 GMT) on Radio NOVA. Enjoy his fine selection of house music with melodic sound and lots of power. Join the party for a mixture of new and trendy tracks of house genre – soulful, funky, afro, latin, jazz etc. Listen ‘Let’s Be Close’ every Tuesday from 8-9 p.m. on Radio NOVA 101.7FM Sofia and www.radionova.bg.